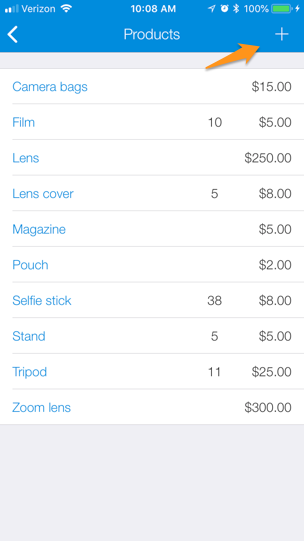 A guide to creating products and adding them to a client's bill during checkout. Genbook lets small businesses sell products right from within their Genbook accounts, during the same checkout process used to charge clients for their appointments. Below, we'll look at how to create a product in Genbook, and how to add it to a customer's checkout process. 1. Tap the gear icon at the top left to access your Settings. 2. 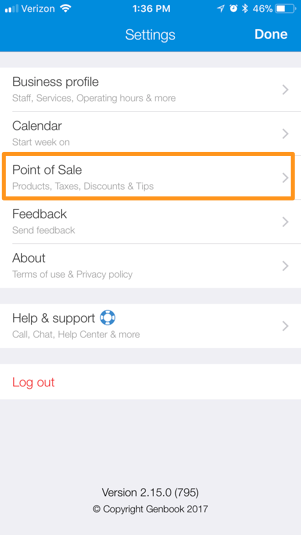 Select "Point of Sale"
4. Tap the "+" sign at the top right of the Products screen. 5. 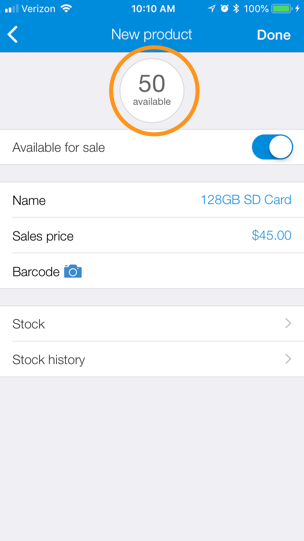 Enter a product name, sale price, and scan its barcode using your phone (if applicable). 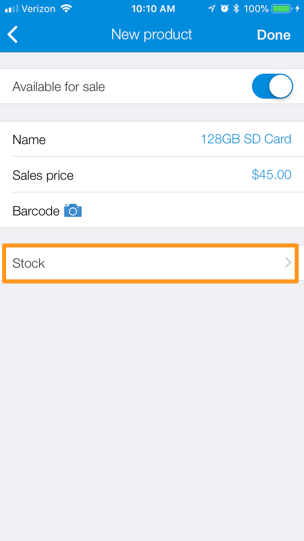 The barcode will allow you to easily add the product to a transaction by scanning it, but you can also add it by searching and selecting the product. Tap "Done" at the top right when you're satisfied with your new product's name and info. Tap "Stock" to add the number you have in inventory. 6. 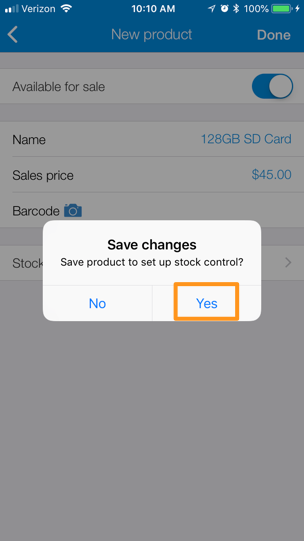 Tap "Yes" to save the Product's details and move to the Stock/inventory screen. 7. 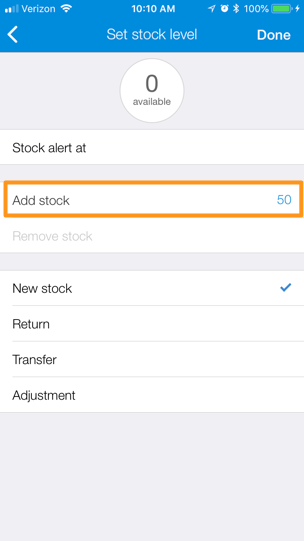 Tap "Add stock" and enter the number you have in inventory. (If this is a returned product, transferred product, or an adjustment needed after a manual count, you can choose "Return", "Transfer" or "Adjustment". Otherwise, choose "New stock".) Hit "Done" at the top right. 8. 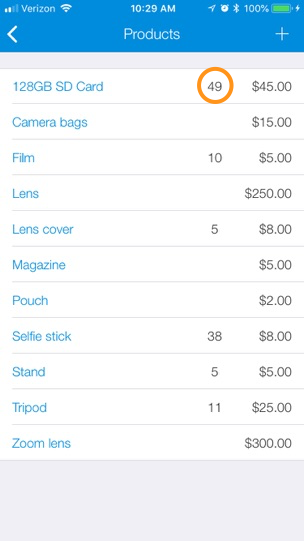 Enter the number of units of the item you have in store and tap "Done" at the top right. You should now see the product you just added listed on that Products page. If you need to edit or delete any product, just tap on it and then either change its details and save your changes, or tap the "delete" button at the bottom of the screen. 1. 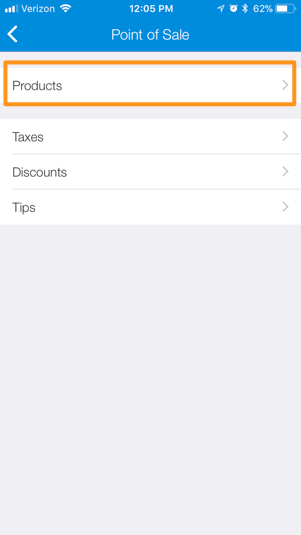 Tap "Checkout" on the appointment as you would normally do to process payment. 2. On the next screen, tap the shopping cart icon to access your list of products, or the bar code icon to scan what you're selling. 3. Scan or manually select the product(s) you want to add to the transaction, then choose the quantity being purchased. 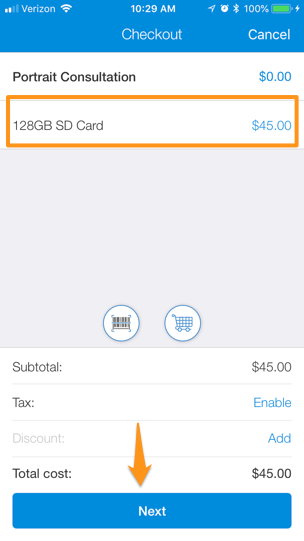 Tap the blue "Done" button at the bottom to add the products to the checkout process. 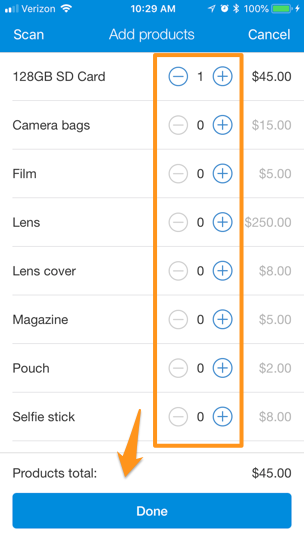 The cost of the product(s) you added should now be reflected on the Checkout screen. From here, you'd proceed as usual through the checkout process. At the end of the process, you'll be able to view and email the client their invoice, which will itemize the purchased service and products. When you go back to your main Products screen under Settings, you'll see that the inventory on the product(s) you just sold has been updated.